I’d like to welcome back B.R.A.G. Medallion Honoree Steven A. McKay to talk with me today about his self-publishing experiences. 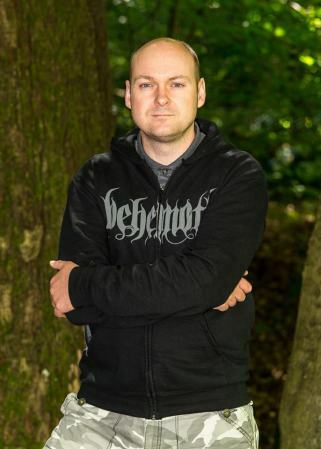 Steven was born in 1977, near Glasgow in Scotland. He lives in Old Kilpatrick with his wife and two young children. His second book, The Wolf and the Raven was released on April 7th, at the London Book Fair where he was part of the Amazon stand. His début novel, Wolf’s Head, was also released the same day as an audiobook. Wolf’s Head is a Kindle top 20 best-seller and The Wolf and the Raven was the “War” chart number 1. Steven, when did you decide you were going to self-publish? I really wanted to have my book picked up by an agent and then a publisher and see my books in hardback form in stores all over the world. But it wasn’t to be. My first draft was turned down by the agents I approached, so I hired an editor to go over it and help me improve things. She’d worked on books by Bernard Cornwell, Jilly Cooper and Ben Kane so I was really trying to do things properly but still, I couldn’t find an agent never mind a publisher. I could have spent more time searching for someone to represent me but we all know how hard it is to get a deal so I didn’t waste any more time. I knew guys that were making a good living by self-publishing so I decided to go ahead and do it all myself. Pretty much all fantastic! I had faith in my debut novel, but it was shaken a little by the rejections so, to have the level of success I’ve enjoyed in the past couple of years has been a real blessing. Somehow the book did really well in Amazon’s charts almost as soon as I published it, then they picked up on it and put it in their Monthly Deal which pushed things even further and it kind of snowballed from there. I’m very grateful to Amazon, they’ve been brilliant with me. I think as a new author the first big challenge is the bad reviews. The first few times I received them it felt like a punch in the guts; not only is it hard to accept someone hates your hard work so much, but you’re thinking of the potential impact on your career. Mainly though, the biggest challenge is trying to put out good quality books that your readers will enjoy as much as the last one. It’s amazing to have so many 4 and 5 star reviews on Amazon and Goodreads, but those people are expecting your next work to be even better than the last so the pressure is always growing, but in a nice way. Don’t count your chickens until they hatch! I’ve had emails offering potentially huge things such as a movie deal from one of Hollywood’s biggest production companies or even just a major promotional opportunity in the USA. You can imagine how my mind went into overdrive when I received those emails, especially the film one…I was wondering which colour Lamborghini to get! Do hire a professional cover designer. Do hire a professional editor. Do have belief in your work and the drive to push it continually without being a pain in the arse. Do keep writing, even if your latest book isn’t selling as well as you’d hoped. Do help out other authors. Don’t ever give up or allow yourself to become too downhearted at bad reviews. Go for it, and put everything you have into it. No one else is going to help you. As I say, hire a professional designer to make you a good, striking cover, and an editor to hone your writing. Make sure you weed out any typos or other errors in your manuscript. 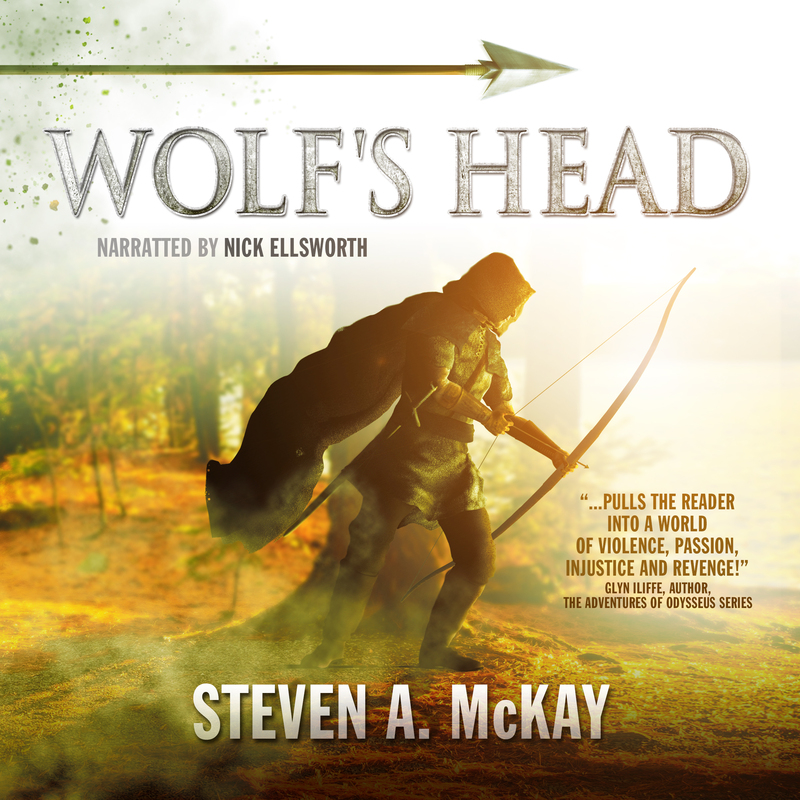 Don’t be afraid to take chances – ACX asked me if I’d be interested in being one of the first UK authors to use their program to turn Wolf’s Head into an audiobook. You can either pay nothing at all up front but share all royalties with your narrator OR pay a fee but keep your royalties. To me, that was a no-brainer – I had faith in my work and I expected it to do well so I paid the fee and it turned out to be a great decision. In the past couple of months I’ve sold more audiobooks than ebooks! So be brave and have faith in your talent. I have a cool network of friends on Facebook – like you Stephanie! – who do interviews with me and review my books etc. Likewise, I review other people’s stuff and post links to those reviews on my website and FB pages. It’s a bit like “you scratch my back, I’ll scratch yours”. 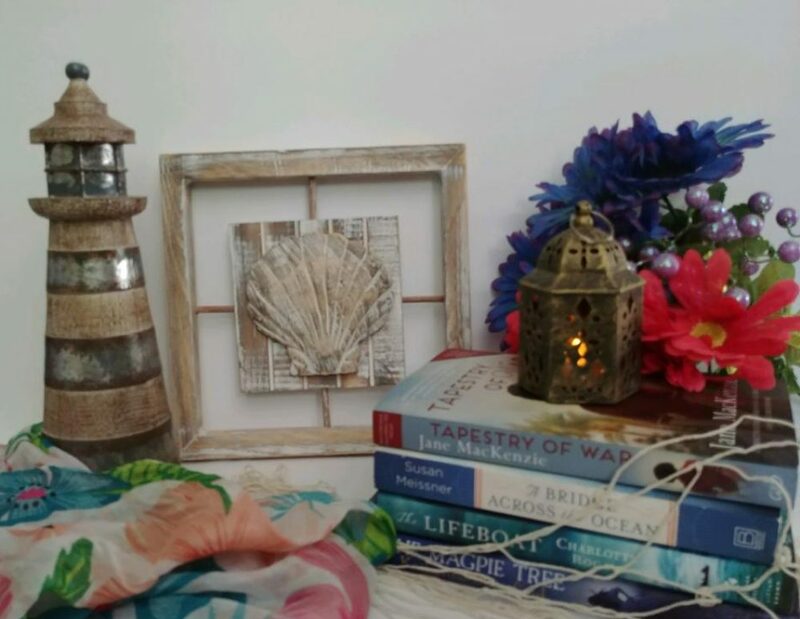 It’s a balancing act in terms of time – I’m trying to finish my new book just now so I can’t review books for a while, but there’s always time to ‘share’ someone’s post about their new novel or to fit in a Q&A like this. As far as I’m concerned ANY chance to get my name out there in the ether is worthwhile, because you never know who might read some minor interview on a tiny blog with only a handful of visitors a year. I think Facebook is a decent tool to promote your work. It doesn’t cost that much, a new advert set can be made in minutes and you can target your intended audience. It doesn’t drive all that many sales but, as I said in the last question ANY way to get your name out there is worthwhile. In terms of paid promotions Bookbub was by far the most successful site I’ve used. It cost hundreds of dollars but helped me sell literally thousands of books in a short period of time. Unfortunately I’ve not been able to get them to accept my stuff any time I’ve tried them recently but it’s certainly worth a try. Most promo sites don’t charge all that much though, so give them all a try when you can afford it. You might not sell many, or you might sell loads, but it’s all publicity and gets your name out there. I couldn’t begin to speculate. If I thought it would continue to grow I could quit my day-job but the fact is, the whole lot might collapse or Amazon might change their business model and authors could find themselves earning much less money than we do now so….Who knows what’s ahead? Can’t really think of anything. Some self-published cover art is just ridiculous – laughable. And some of the books are terribly written and riddled with errors. It gives the rest of us, who try to do things to a high standard, a bad name. BUT, if everyone was putting out great stories with fantastic eye-catching covers it would just make things harder for me so…I’m happy to try and improve on my own work with each release, other people can look after themselves. July 2013 was, I believe, the date I published Wolf’s Head, so, just about two years.